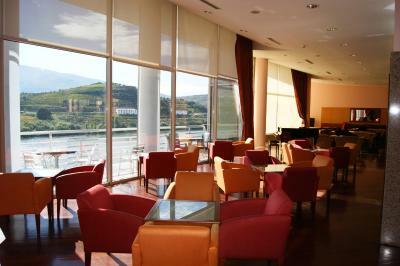 Lock in a great price for Hotel Regua Douro – rated 8.4 by recent guests! 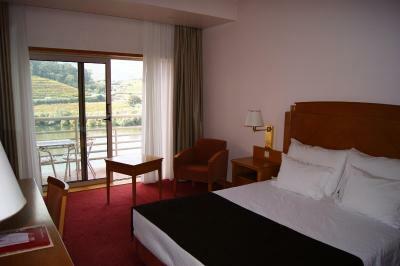 The hotel was conveniently located and our room had a terrace with a beautiful view of the river. The free on site parking was great. The breakfast was very good and had a excellent selection of food and drinks. The hotel staff was very nice and helpful with area information. Amazing view from our room which was very clean and all worked well. Real value for the $ and a short walk from the train station. Wonderful view from breakfast room. Great location and comfortable. Nice views of the river. 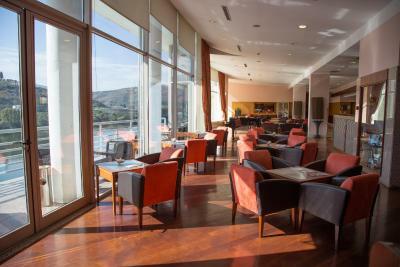 We used the Hotel Regua Douro for our stay in the Douro Valley and left satisfied. Read on for details. 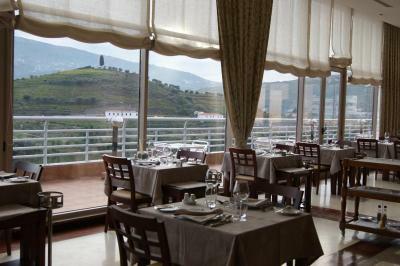 Located near the bridge and on a main street, The Hotel Regua Douro is right on the banks of the river. 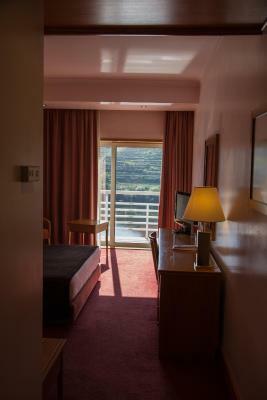 Our room, overlooking the river, had a fantastic view. 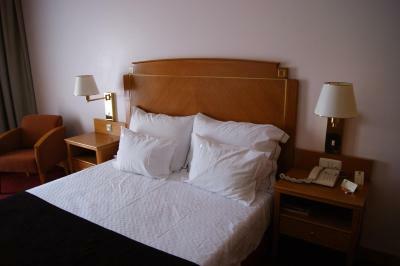 The room is spacious, updated with a modern bathroom, firmly comfortable bed and yucky mushy pillows. Our room along the water was quiet at night. While there is free parking on a lot just behind the hotel, navigation is tight and the spaces small. I wished I had not allowed the rental agency to upgrade me to a larger car. 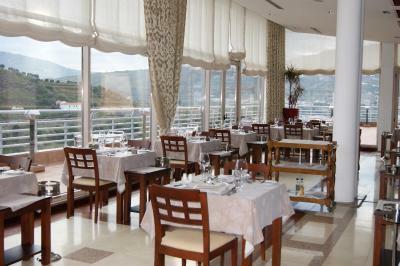 The hotel is a good place to explore the surrounding area on foot. It was short walk to a local café for an excellent, reasonably priced breakfast. 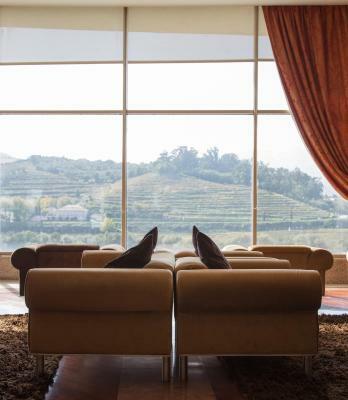 If I return to the beautiful Douro Valley, I'd return to the Hotel Regua Douro. 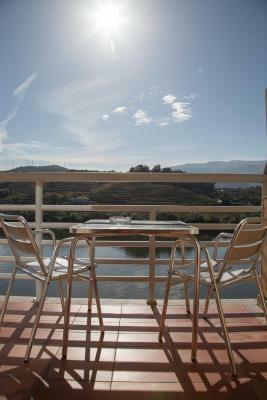 The location is convenient to the train station and has beautiful views of the river. The room was neat and clean and the bed very comfortable. 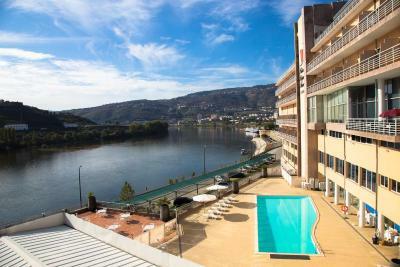 This hotel is in a great position looking over the Douro River and close to bus and train station. 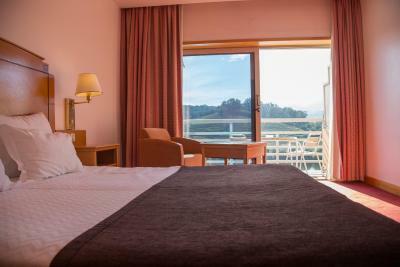 Make sure reserve the river side room to have the excellent view from the balcony. The room is old but comfortable. 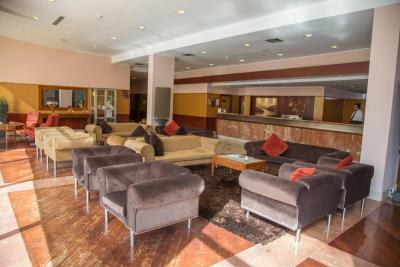 Very nice location to restaurants and the parking is also convenient. The location is excellent in this town. Close to the station, free parking. 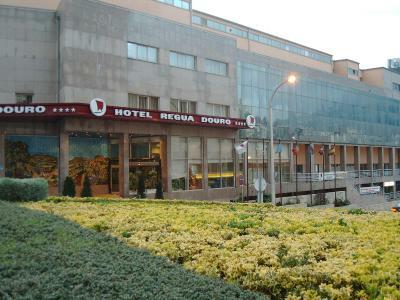 Hotel Regua Douro This rating is a reflection of how the property compares to the industry standard when it comes to price, facilities and services available. It's based on a self-evaluation by the property. Use this rating to help choose your stay! 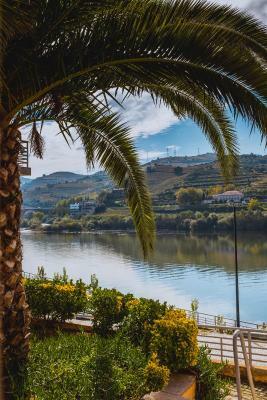 One of our top picks in Peso da Régua.This hotel in Peso da Régua offers a splendid view of the Douro River and the green, mountainous landscape. Luxury amenities include an outdoor pool and massage treatments. 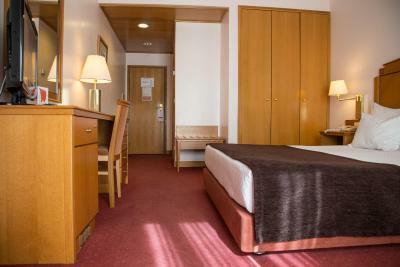 Rooms of Hotel Régua Douro offer satellite TV and are air conditioned. 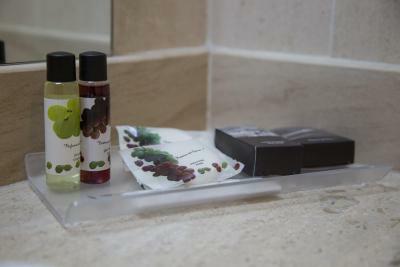 Each is simply furnished and is equipped with a minibar. The staff at the 24-hour front desk is available to offer advice on excursions and car rental. Sailing trips can be organized on the Douro River where you can enjoy views of the picturesque landscape and terraced vineyards. Alternatively, a range of cardio equipment is offered at the fitness center. 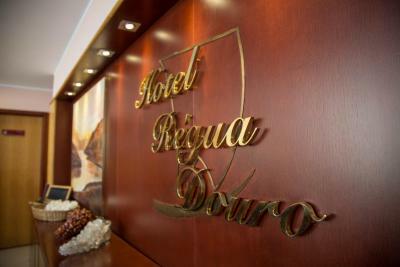 Hotel Régua Douro’s restaurant serves a choice of traditional Portuguese and international cuisine. 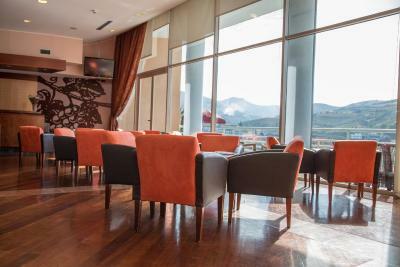 A drink from the bar can be enjoyed while watching the sun set from the veranda. 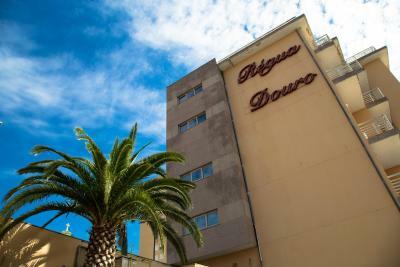 Régua Douro is strategically located in the town, close to Peso da Régua’s train station. 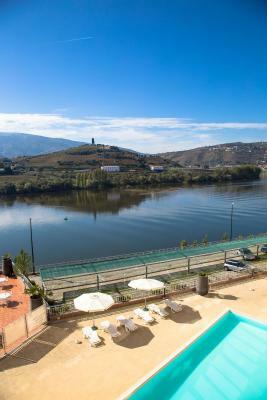 When would you like to stay at Hotel Regua Douro? 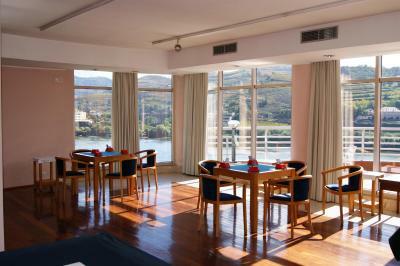 This spacious, air-conditioned room has views of the River Douro and includes a satellite TV and mini-bar. Each has a private bathroom with a bath. Private parking is available on site (reservation is not needed) and costs EUR 1.23 per day. 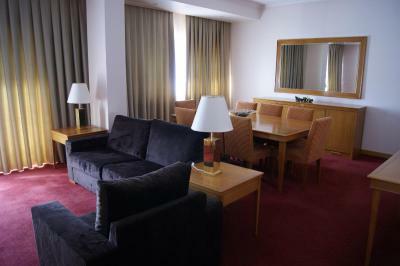 This spacious, air-conditioned room has views of Régua and includes a satellite TV and mini-bar. Each has a private bathroom with a bath. Please note that the price is based on 3 guests. Maximum occupancy is 4 (see Hotel Policies for extra bed charges). - Dinner with drinks included. 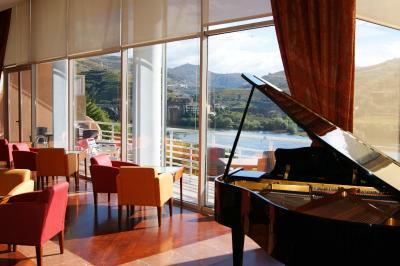 House Rules Hotel Regua Douro takes special requests – add in the next step! ATM card Debit card Hotel Regua Douro accepts these cards and reserves the right to temporarily hold an amount prior to arrival. 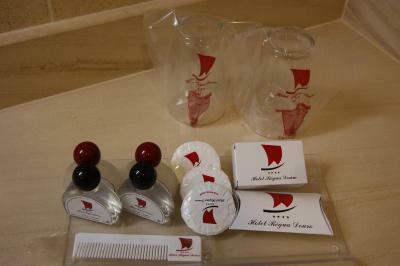 Hotel Regua Douro accepts these cards and reserves the right to temporarily hold an amount prior to arrival. A bit dark in corridors. Spacious room. More than normal. Not a shoebox. Great location, river view room was stunning. The view from the breakfast room. Hotel could use some updating. Lighting is very poor in elevators and hallways. 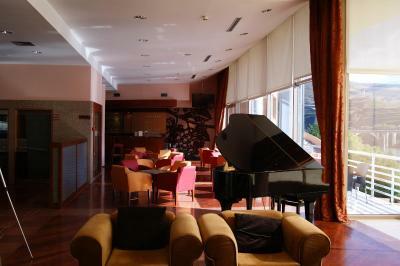 Some of the facilities (indoor pool, spa, ect.) were closed for season or out of service. It was dated and dark. Poor access from the parking lot at the rear of the hotel. Minimal bar choices. Staff are rather cold; hallways too dark and can be a bit depressing. The crews are very not professional. When I asked for the parking they even drew the wrong place on the map, turns out I waste 20 minutes searched for the wrong parking. It was slightly expensive for a hotel that is quit outdated. Not saying it's not maintained or not hygenic, it's just old and outdated. Nothing special about the hotel. But the city needs care. 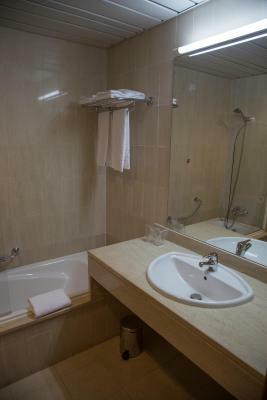 A typical modern hotel with normal expected facilities. Cleaness good. Normal good breakfast, but could add a real musli. The hotel should produce a map showing restaurants in the neighbourhood. Ok cheap "fast food" restaurant in the hotel building, with own entrance. 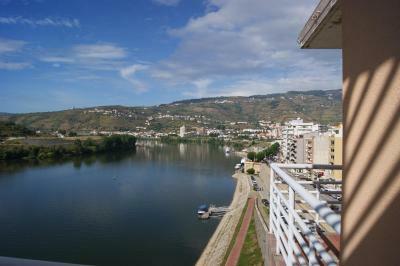 The view to Douro and wine yards from our balcony was "an extra." Staff are friendly and very accomodating. Food (lunch) is excellent and attention to service. Car park is also a definte plus. 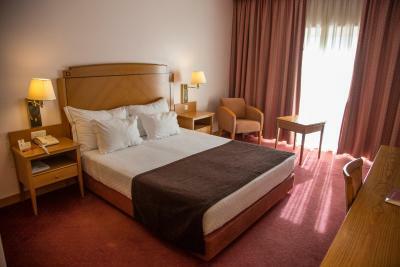 Perfect for our overnight stay and good buffet breakfast too.